in only 2 hours 14 minutes. 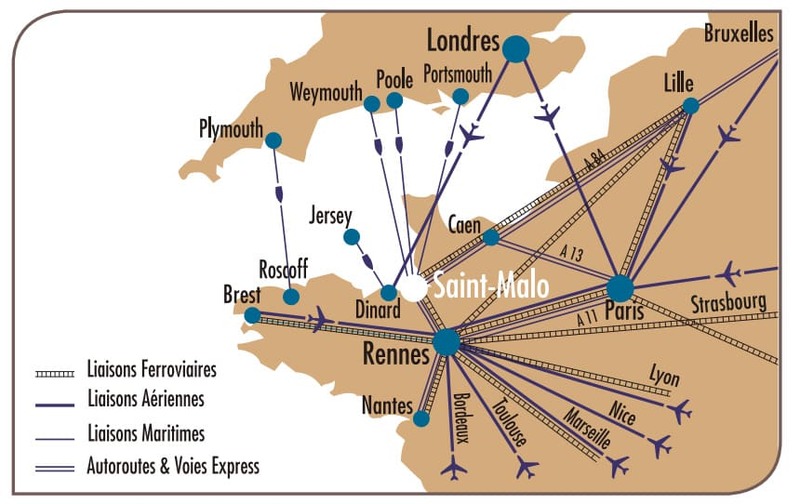 Saint-Malo-Dinard-Pleurtuit Airport, at 10 mn drive only (London via Ryanair). 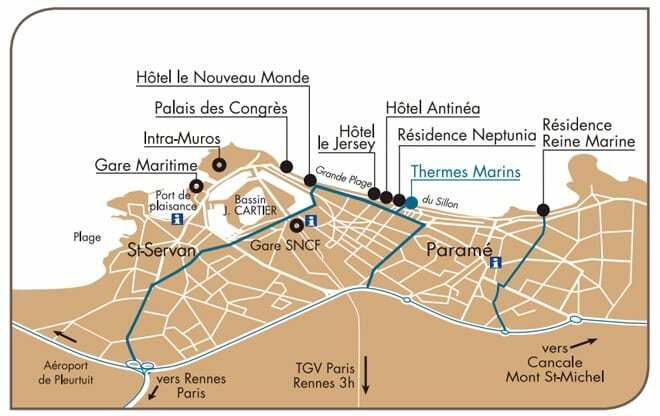 For sea spa guests (5 days minimum) at the Grand Hotel des Thermes, the Neptunia Residence or the Antinéa & Le Jersey Hotels: Free transfers to and from Saint-Malo train station and your accommodation between 9 am and 10:30 pm train arrivals and departures. Other arrivals, please contact us. Reservations required minimum 48 hours prior to arrival and departure. Airport Transfer Rennes Saint-Jacques – Grand Hotel des Thermes on request and availability. Rates per trip: €50 /adult. €25 children under 12 years.